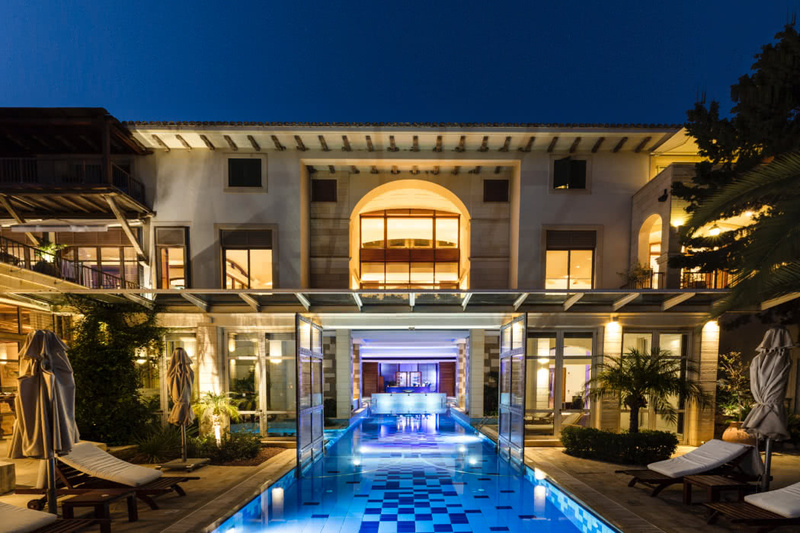 For a heavenly, exclusive boutique hotel on the island of Cyprus, luxury travellers need look no further than the gorgeous, five star Columbia Beach Resort. 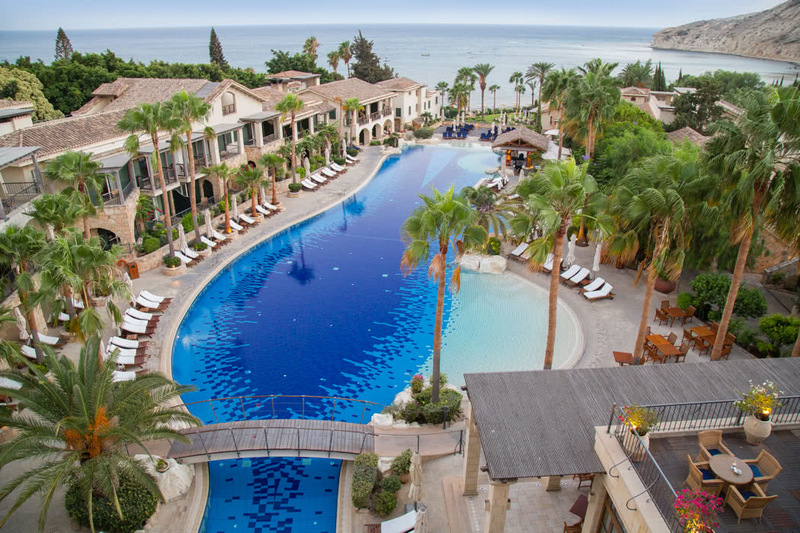 The Columbia Beach Resort lies nestled in a secluded location on the 2km long blue flag Pissouri Bay in Cyprus near to the village of the same name. 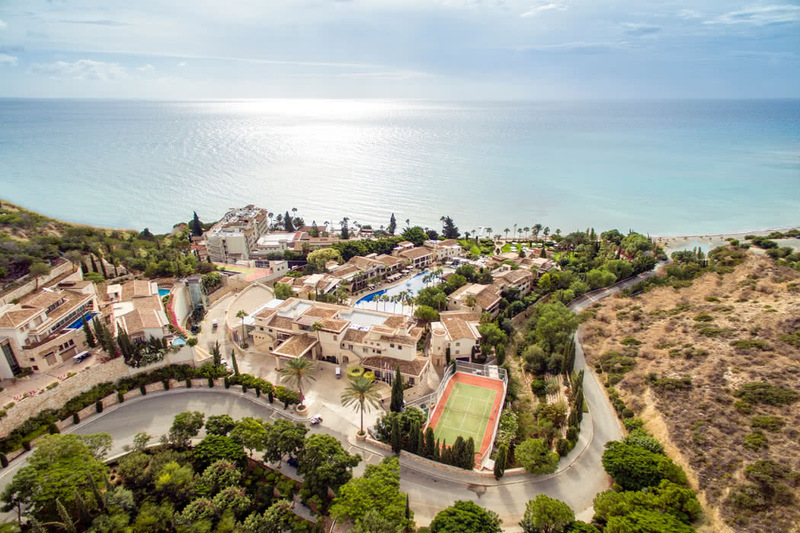 The resort is just 20 minutes from both Paphos and Limassol and the ancient site of Kourion is also nearby. The resort is a member of Small Luxury Hotels of the World and it’s not hard to see why. It is modelled on a traditional Cypriot village and boasts stunning rustic architecture but with a contemporary and luxurious flair. The lushly landscaped resort is spread over 75,000 m² of prime, beachfront location. 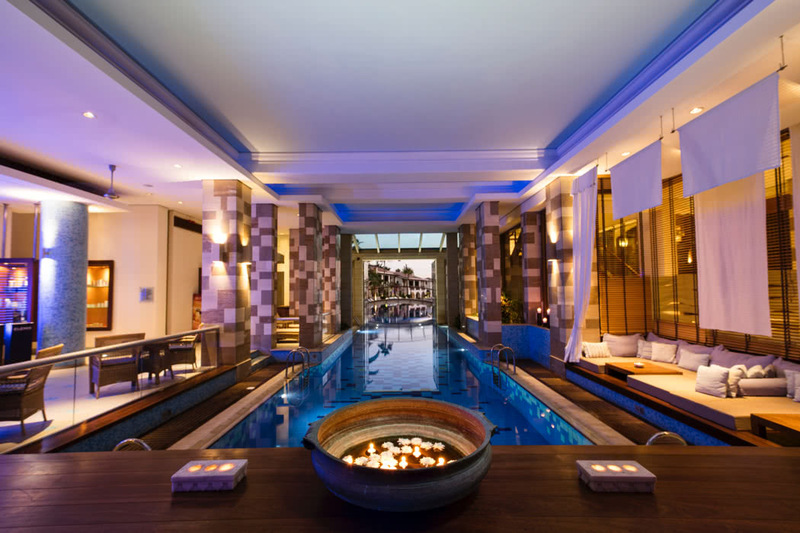 The highlight of the facilities has got to be beautiful swimming pools. There are two outdoor pools, one is a vast lagoon-style pool and the other positioned above the bay to make the most of the views, it also has a swim-up bar. Usefully for all there is both a family pool area and a more peaceful adults-only area, keeping everyone happy. 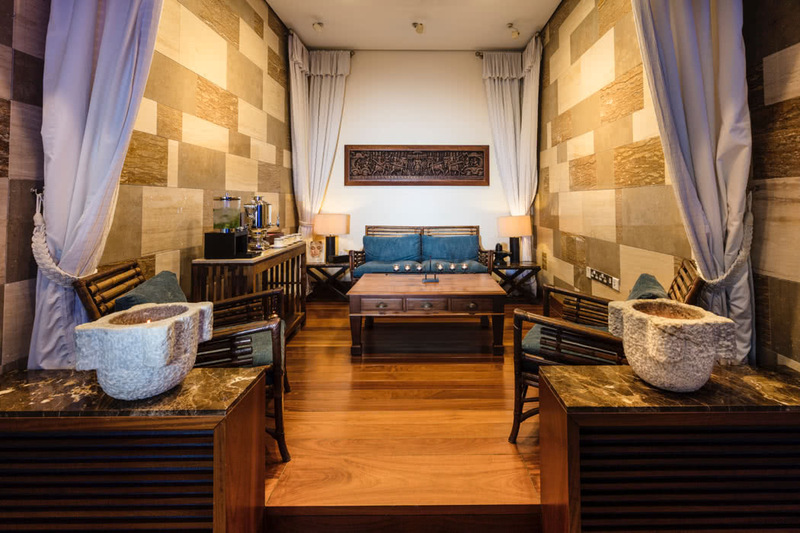 The multi-award winning Hébe Spa is simply stunning. Tranquil and relaxing, it’s an indulgence for the soul as much as the body. 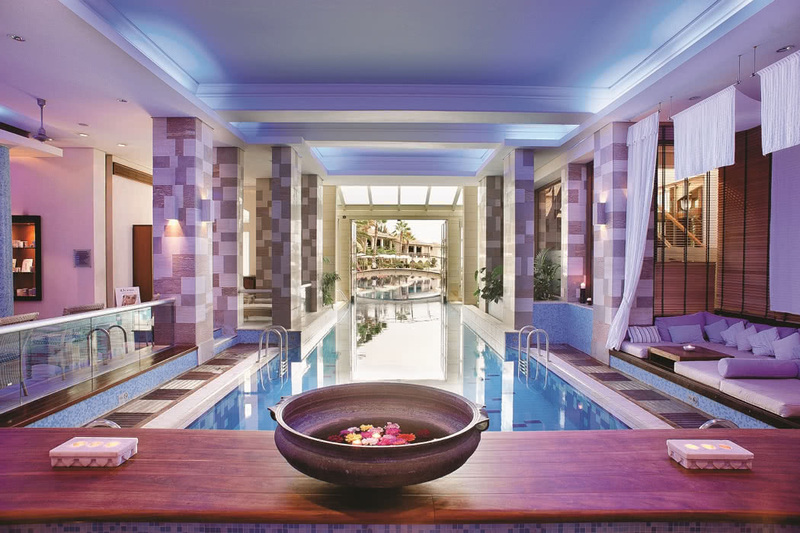 Built around the swim-through, inside-outside pool, there’s also a Jacuzzi, sauna and steam room and to keep fit and toned while you’re away, there’s a fully equipped gym, squash and tennis courts and a range of fitness classes. There are also many activities available to you from cycling to water sports and from golf to scuba diving. It’s one of those places where you instantly feel right at home. Perhaps it’s because it’s such an intimate resort, or perhaps it’s the natural and warm Cypriot welcome that you receive. The staff are extremely efficient, very friendly and the entire resort is kept spotless. 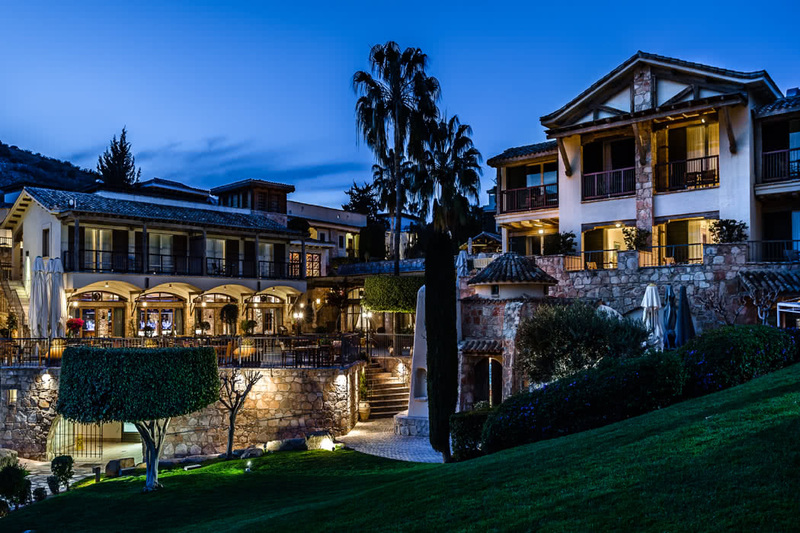 No wonder it has won Europe’s Leading Luxury All Suite Resort and the Mediterranean’s Leading Resort in both 2016 and 2017, amongst many other awards. There are 169 luxurious, spacious suites to choose from. 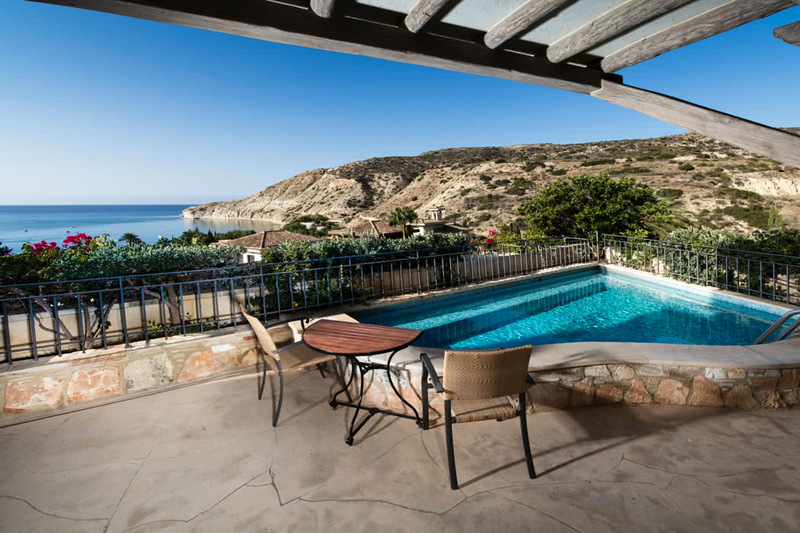 First, make the decision on your view; be it Garden, Pool or Sea – personally I’d go for the later! Then choose whether your budget is more appropriate for Junior, Executive or the larger One- and Two-Bedroom Suites. For the ultimate view for discerning visitors, the Eagles Nest Suites are positioned at the very top of the resort (there’s even an elevator to reach them) and offer magnificent, panoramic views as well as a private plunge pool. The dining here is first-class and considering the size of the resort there are some impressive choices. Head to the Apollo Tavern for Mediterranean and traditional Cypriot dishes with views across the gardens to the azure blue sea. The Atrium Restaurant is your venue for breakfast and also serves gourmet themed buffets in the cooler months. For an Italian breakfast and indeed dinner, the elegant Bacchus Italian Gourmet Restaurant has a fabulous sun-drenched terrace besides the pool and speaking of the pool; the Cape Aspro Pool Bar & Restaurant is all about the fabulous venue and alfresco dining in style, from the swim-up bar by day to cocktails as the sun sets in the evening. As well as the restaurants, there are seven bars! Whether you have cocktails on the mind, are in the mood for tapas, a sophisticated cup of coffee or a relaxed beach bar, there’s something for you.